to get our FREE Ultimate Whole Food Plant Based Food List! 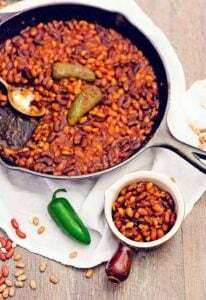 This BBQ Baked Beans recipe is super easy and packed with flavor, and it’s healthy and delicious – BONUS! 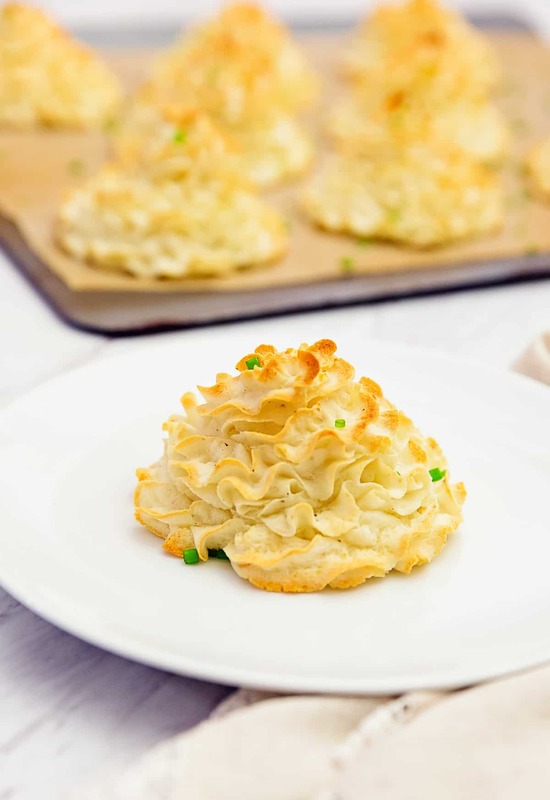 It is the ultimate side dish and perfect for summer barbecues or as a new family favorite. Whole Food Plant Based, no oil, no refined sugar, and gluten free. On a whole food plant based diet, the goal is to use whole foods, no oil, no refined sugars or flours, and minimally processed to no processed ingredients. I love this recipe because it was fun to make and super easy. If you are like me, you enjoy using dried beans. They are so economical. 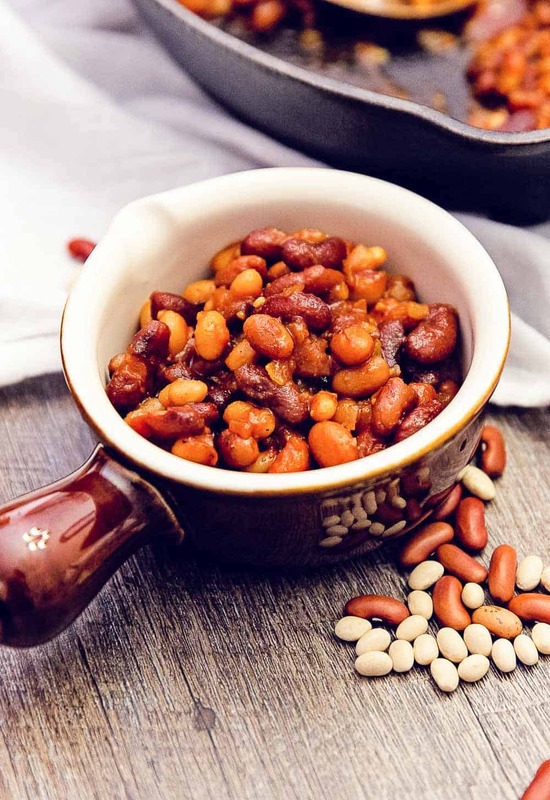 Dried beans (and canned) do require some additional research for those of us that have a gluten dietary restriction as you need to find beans (both canned and dried) that are processed in a gluten free facility. Beans, by nature, do not contain gluten, but a lot of beans are processed in facilities that also handle wheat, so if this is a concern, you may have to do a little research before purchasing beans. Sorry, I digress, back to the baked beans! One of the things I love about this recipe is using a cast iron skillet. I don’t use it all that often because cast iron skillets require seasoning with oil. “Wait, I thought you said no oil is allowed Robin!” And you would be correct. However, I remove the oil seasoning right before I cook in it. I put water in the skillet and really wipe it down to ensure that the skillet doesn’t have any oil residue. I really wipe it clean, like super clean. This way I feel comfortable that I have succeeded in removing all the oil. The cast iron skillet will look dull. 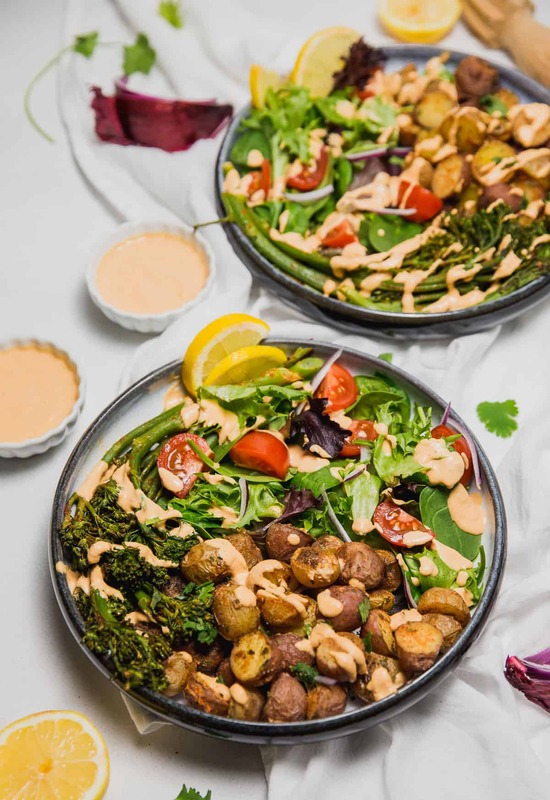 Additionally, you will also note that the vegetables may stick when dry sautéing them, so you may find yourself adding a little water to prevent the vegetables from sticking. You might be thinking why bother then? The reason is because I simply love cast iron skillets and their versatility of moving from the stove-top to the oven. Of course, you can skip all of that and dry sauté your vegetables in the skillet of your choice and then move the contents to a casserole dish to bake. But when I can use one pot, it’s a total bonus. We love this recipe. It is so tasty and everyone who has made it has commented on how awesome it is which makes us really happy. When I think of baked beans, I think of summer. 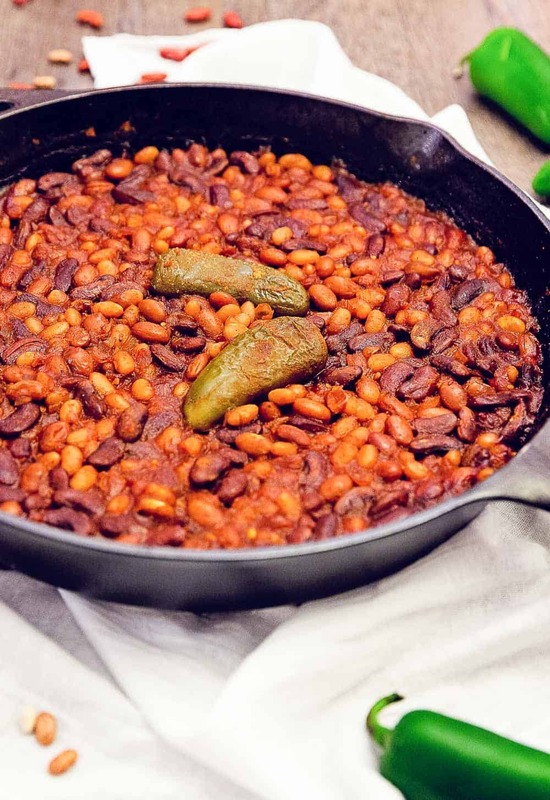 For our family, baked beans was a classic picnic side dish, but it never expanded outside of the picnic realm. I can easily say that this one has made its way into our monthly rotation of recipes due to its BBQ flavor and yumminess. We recently made it for Chris, Katie, and Charlotte. They all loved it. A simple and healthy Whole Food Plant Based take on an old classic comfort food. We hope you give it a try. This recipe is super easy and packed with flavor, and it’s healthy and delicious – BONUS! It is the ultimate side dish and perfect for summer barbeques or as a family favorite. Whole Food Plant Based, no oil, no refined sugar, and gluten free. Over medium heat, sauté the minced onion in an oven-safe large skillet until tender, approx. 5 minutes. Add the minced garlic to the skillet, and sauté for 2 minutes. Add 3 cups of water, maple syrup, tomato paste, and all the spices (smoked paprika, chili powder, dried mustard, onion powder, garlic powder, minced onion and sea salt) to the skillet, turn up the heat on the burner, and bring to a low boil, then turn the heat down to a simmer. Simmer for 3 to 4 minutes. Then add the canned (or cooked) beans to the skillet, and stir well. Add the halved jalapeno pepper to the skillet and simmer on the stove top for a few minutes. Place the oven-safe skillet into the oven for 30 minutes at 350 F.
After 30 minutes, carefully remove the hot skillet and check the liquid level. The beans will have absorbed some of the liquid. If needed, add up to 1/2 cup of water to ensure the beans are just barely coated with liquid. Stir well. Test the flavors. Add more sea salt, if needed. Return the hot skillet to the oven and bake for another 20 minutes. After 20 minutes, carefully remove the hot skillet from the oven, discard the jalapeno pepper, and allow to cool for 15 minutes before serving. * Jalapeno pepper: Jalapeno peppers vary in degrees of heat. If you like your BBQ Baked Beans spicy, then chop up the jalapeno pepper and put it in the BBQ sauce. If you just want a hint of heat, then cut it in half, remove the seeds and allow it to cook in the skillet, then discard it later (or eat it if you wish). * Water/Liquid: The component for a great BBQ Baked Bean dish is to have a little liquid for the beans to swim in, but not too soupy. This is why you initially use 3 cups of water, then check the beans to see if they need more water after 30 minutes. They may require a little extra water added at the 30 minutes time mark. * Dry Beans: If using dry beans, note that you are using 3 different types of beans that all require differing cooking times. We love using dry beans. They are economical and store well if you buy in bulk. 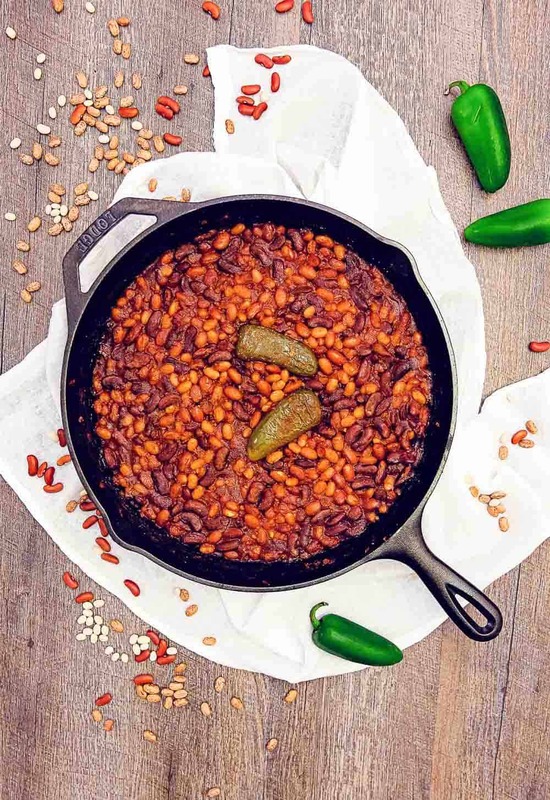 If you decide that it is too much work to use 3 different dried beans, then use canned beans, one of each bean type to make the BBQ Baked Beans. You can substitute any bean for this recipe: Pinto beans, navy beans, great white northern beans, kidney beans, etc. We have made this dish both ways, dried beans and canned. Both are equally tasty and there are no discernable flavor differences between using dried beans versus canned beans. Obviously, the canned bean version makes it a lot easier and faster. 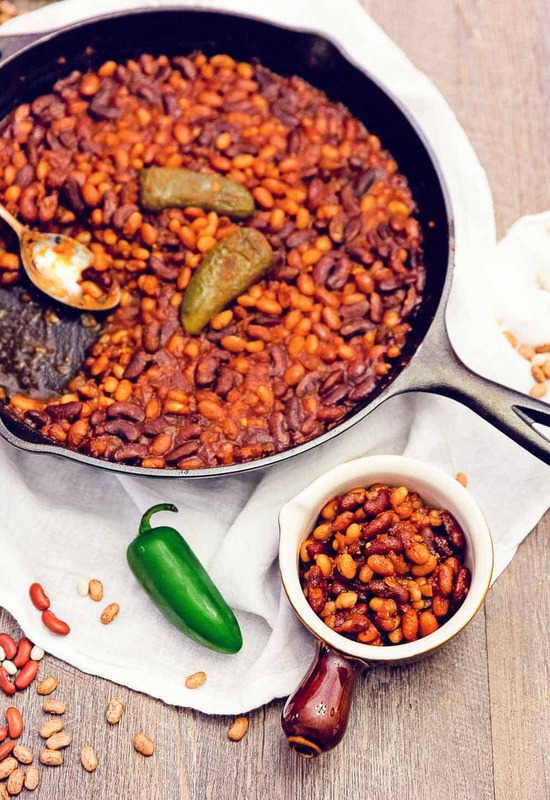 Everyone we have made this recipe for has loved these baked beans. Storage: Cool to warm, place in glass storage and refrigerate. Get your weekly recipe fix and our FREE Ultimate Whole Food Plant Based Food List! Hey there, glad you are joining us today! Allow us to introduce ourselves, we are Ameera and Robin, a daughter-mother blogging team. We live in Ohio, and we love creating healthy Whole Food Plant Based recipes, photographing our delicious creations, and sharing our kitchen adventures with you. Subscribe to get your weekly recipe fix and our FREE Ultimate Whole Food Plant Based Food List! We love it and appreciate when you share! Please keep in mind that all images and text on this site are property of Monkey and Me Kitchen Adventures. Feel free to use one or two photos provided that a link back to our original post is included. Please do not remove any watermarks, crop, or edit any of our images without first obtaining written permission from us. Pinning is always welcome and much appreciated! All free printables offered are for personal use only. Thank you so much!